In the last half of the 20th century, cleaning of circuit assemblies was a standard assembly practice. The abolishment of popular CFC-based cleaning solvents ushered the introduction of “no-clean” assembly processes. 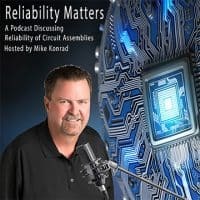 For much of the electronic assembly industry, cleaning became nonexistent. How can I get the slides for this podcast?